While Brian sat upstairs watching skateboard videos or poker tournaments, I spent my time in practice mode, honing my skills on the guitar riffs for “Toxicity,” “Smells Like Teen Spirit,” and everything in between. By the end of the summer, even a teenage boy was impressed when I crushed the game at an amusement park. The Metallica Guitar Hero was the most fun of all. I’d always been a fan, but being able to play along to “For Whom The Bell Tolls” takes fandom to a new level. I must say, playing all 7 and a half minutes of “One” still feels like a major accomplishment. Those Metallica musicians are seriously talented, so playing some of the songs successfully on expert mode may be a bucket list item. I may never get to live out my fantasy of being a rock star, but at least I can play one in my living room. My biggest (or littlest) fan, Ruby, was present for every single concert. She’s already shown an affinity for 90s and 00’s rock. The other day, “Freak on A Leash” came on my mix CD. She responded with one word that made me chuckle: “LOUDER!” That’s my girl. After all these years, I finally got a Metallica band tee. After searching fruitlessly for years at thrift stores, I decided to take a drastic step. I went to the mall. Well, not exactly the mall. 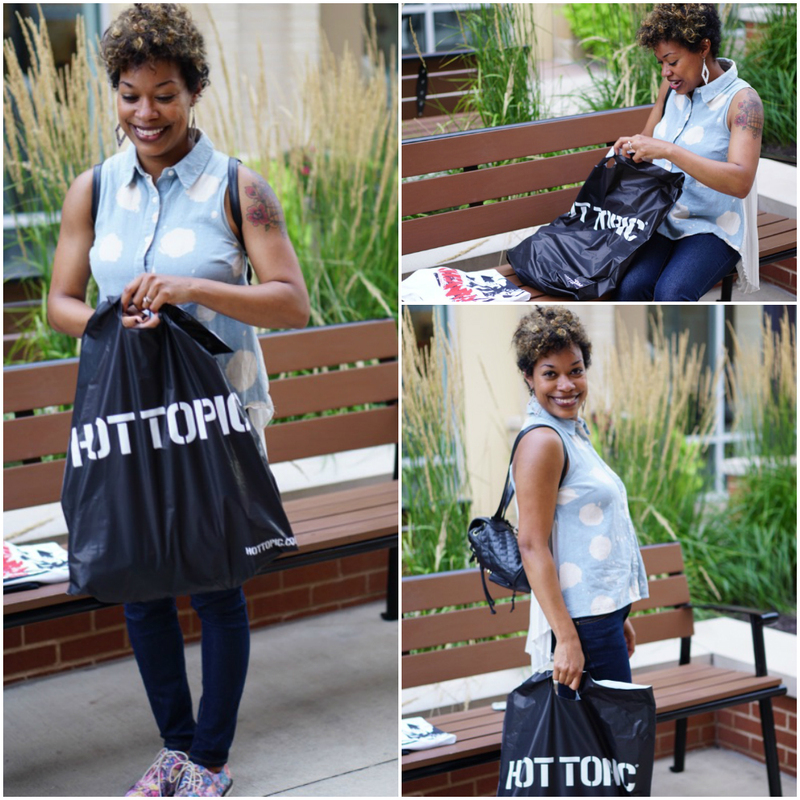 I headed to St. Louis Premium Outlets for a shopping party with other local bloggers. Its outdoor setup was a refreshing alternative to a typical mall and made for a smooth shopping experience. And thanks to one of the sweetest Hot Topic workers I’ve ever encountered, I walked out with 3 band tees and some other goodies. 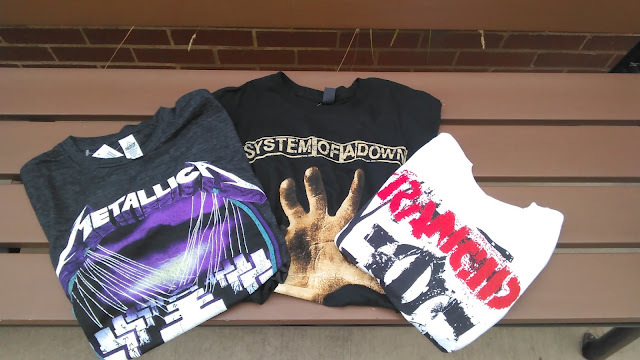 Look for future posts featuring my two other favorite bands, System of A Down and Rancid. 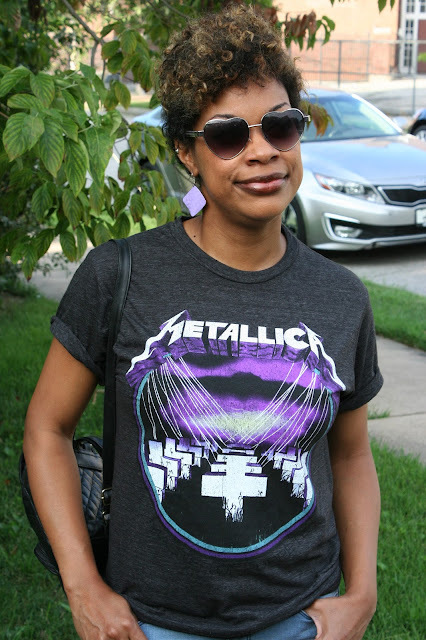 For now, here’s how I styled my first Metallica shirt. I think these are the raddest boots I've ever owned. I just played "Enter Sandman" and got 5 Stars. Anyone want to challenge me? The trifecta of Carmen band tees. They had a buy-2-get-1-free deal going, so it was a no-brainer. Here are pics during my shopping spree at St. Louis Premium Outlets. What's in the bag? I'll share very soon. My shopping buddies. 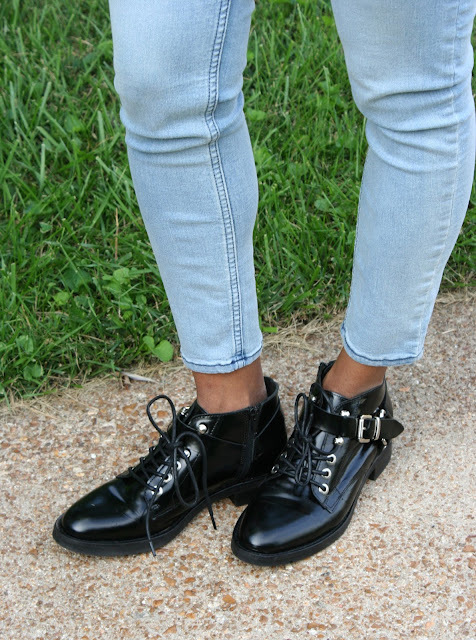 Check out their blogs to see what cute finds they snagged. Back: Jenna (Champagne and Polka Dots), Cara (Caradise Found), Roxy (Royalty in Reality), Psyche (Economy of Style), Kim (KNR Styling), and Julia (Oh Julia Ann). Front: Elena (Cheetah Talk Y Mas), Aramide (The Sassy Peach), and Caryl (More Pieces of Me). 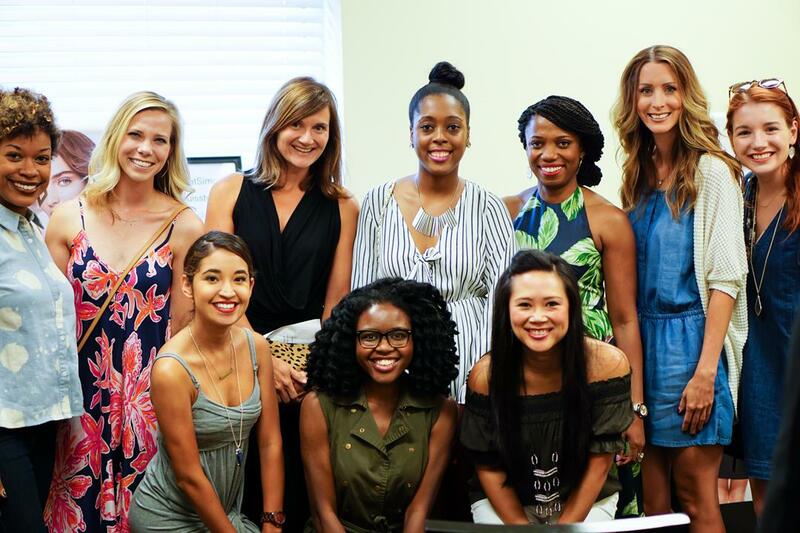 Thanks, Economy of Style for hosting the party! Thank you to the St. Louis Premium Outlets for sponsoring my experience.